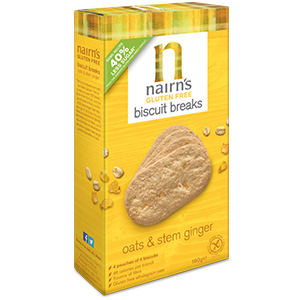 Zepbrook has a great range of Nairn's products available at great prices. 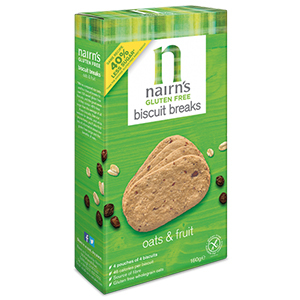 From Oat Bars to Biscuits, Zepbrook supply a wide range of Nairn's products that are perfect for the office environment. All of these products are also Gluten Free! 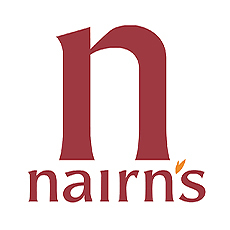 Taking advantage of our great range of Nairn's products for your office or business couldn't be easier, just enquire online about opening an account to take advantage of our bulk prices and next day delivery. The carefully proportioned mix of seeds (pumpkin, chia and flaxseed) gives an almost nutty taste and a crunchy texture that we’re sure you’ll love. 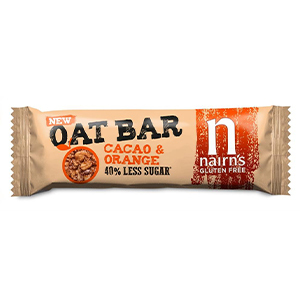 They contain no artificial colours or flavours, are full of the goodness of wholegrain oats and contain just 45 calories per biscuit making them the perfect chocolatey treat. Our tasty Biscuit Breaks come in handy pouch packs making them easy to pop in your bag for a mid-morning or afternoon snack on the go. 1 box contains 12 individually wrapped portions (each containing 3 x 10g biscuits). These wholesome Oats & Stem Ginger Biscuit Breaks pack a flavoursome punch thanks to the mix of stem ginger and ground ginger we use in our recipe. Like the rest of the range, they contain no artificial colours or flavours, are full of the goodness of wholegrain oats and contain 46 calories per biscuit. 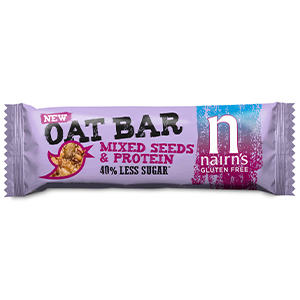 Oats and Fruit Biscuit Breaks taste deliciously buttery and are packed full of currants. 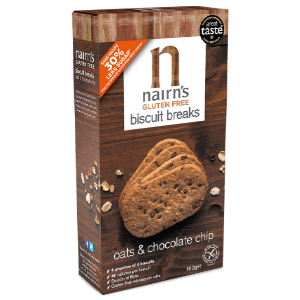 You'd really never know they were gluten free, they taste so good and they contain just 46 calories per biscuit. Our tasty Biscuit Breaks come in handy pouch packs making them easy to pop in your bag for a mid-morning or afternoon snack on the go.